When I came to know that ace designer and my favorite Suneet Varma is going to present his first ever western couture line at DLF Emporio on November 21,2015, I became so excited that we are going to see world class craftsmanship with immaculate designing for sure. But since I was travelling, I missed it very badly. Hence, I decided to go to luxury designer hub DLF Emporio and treat myself with some visual delight. and believe me, the experience was just out of the world, mesmerizing collection signifying women sensuality, and curves. 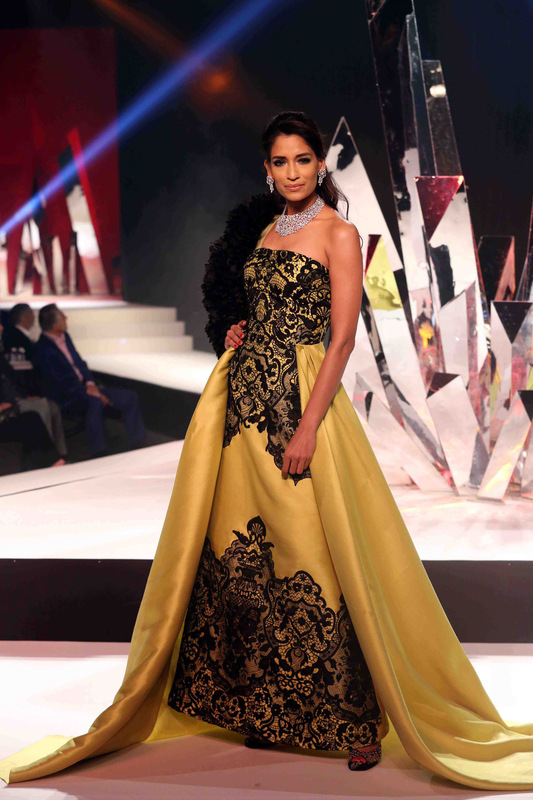 Suneet’s collection has several western inspirations including Hollywood glamour, the sensational studio 54 music and the very essence of youthful dressing. This collection of 35 gowns range from formal evening shapes to light, flirty dresses in shaded chiffons and light weight silk organza. The structured gowns are voluminous and make in silk taffeta and knits to create asymmetrical drapes that are close to the body. For the first time using very bold shades of cobalt blue, lime green and textured silk knits- Suneet had worked on this group creating large skirts with multi color sequin embroideries in contemporary artworks and placements. The formal evening gowns have trails and placements of hand embroidered laces. Suneet Varma presented his first ever western Couture line in association with Diacolor,Fine Contemporary Jewels at DLF Emporio. Though it is almost impossible for me to leave any dress, but I will still pick up and bring the best of the best for you! The bold reds range from vermillion to blood red to sienna and have tone on tone embroidery in ribbon flowers and sequin and bead work, the details are large bows on the shoulder and clichéd waist bands and soft, demure, beaded tassels. 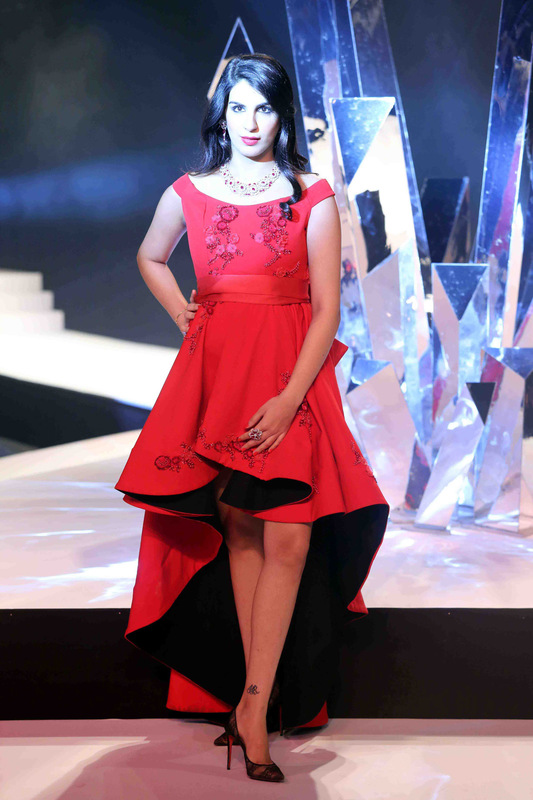 Suneet presented Princess Mriganka of Jammu & Kashmir , who is a proud brand ambassador of Diacolor as well, for the first time on ramp. 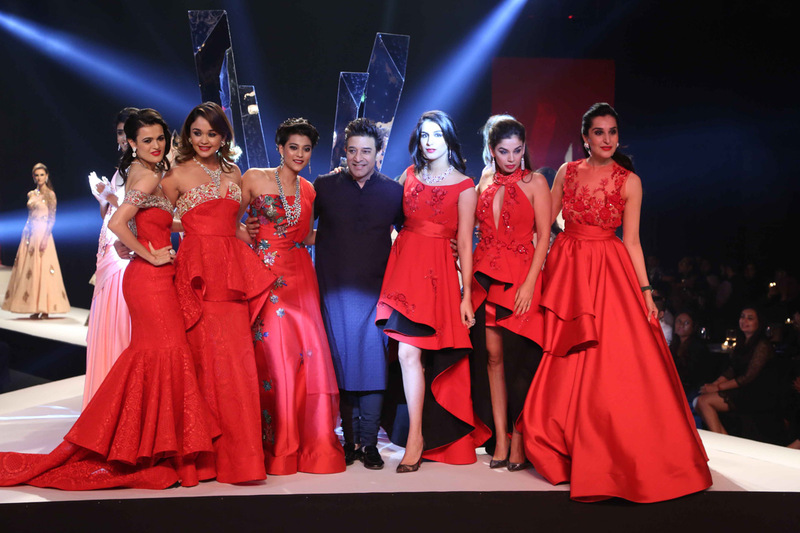 Women of same stature like Stutee Dixit, Rhea Madaan, Deepti Varma walked the ramp in same red collection.